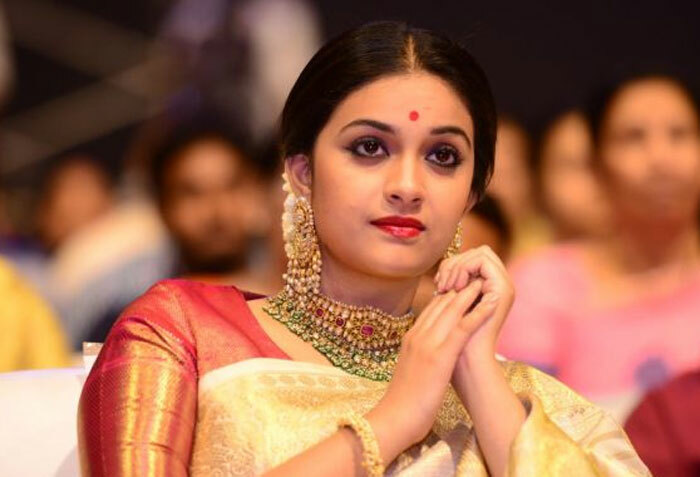 Home English Keerthy Suresh to romance Superstar! Keerthy Suresh to romance Superstar! 2018 must be most memorable year for Keerthy Suresh. She won accolades for her stellar performance as Mahanati and achieved blockbuster success with Sarkar. She couldn’t ask for more. But wait, the year is closing for her on a huge note. As per latest buzz, Keerthy is likely to pair Superstar Rajinikanth in his next film to be directed by AR Murugadoss. The regular shoot will commence in new. Official announcement on cast and crew is yet to be made. It is going to be a political thriller with strong message as any Murugadoss movie. Sun Pictures will be bankrolling the project.